As a retail and consignment furniture store, Surroundings maintains an extensive showroom of high-quality, designer furniture. Oftentimes, our showroom contains pieces that you won't find anywhere else,especially not in a standard retail outlet. We consistently update our showroom with new inventory to provide customers with a unique buying experience. 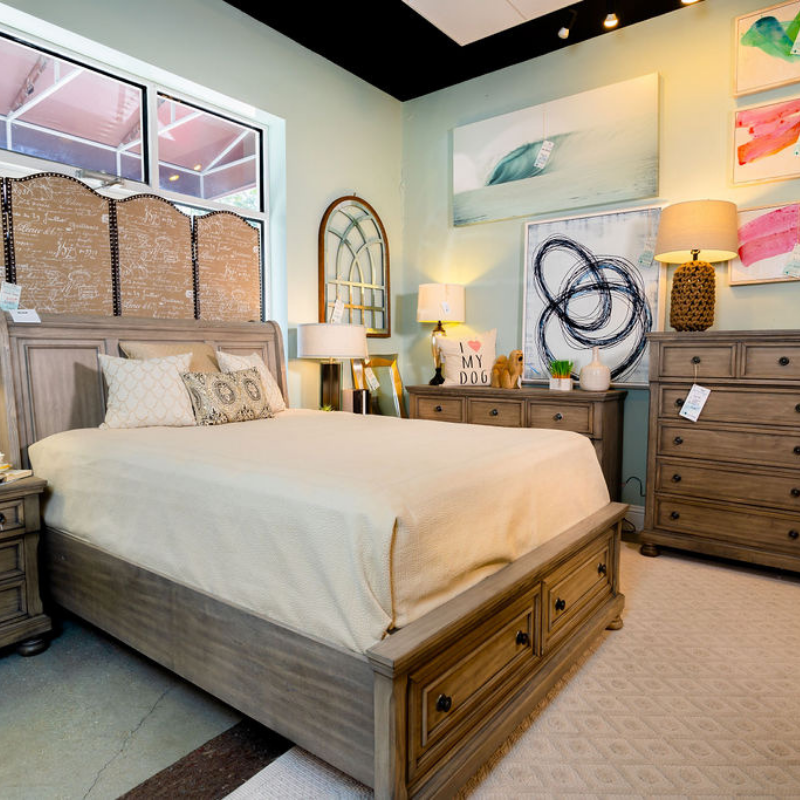 For over a decade, Surroundings has been committed to providing Naples, Estero, Bonita Springs, FL,and the surrounding areas with dynamic home furniture options,and we want to do the same for you. Shopping for decorations, gifts or items you love! We have them!! We showcase an extensive collection of consignment from local designers and homes. If would like to have an unforgettable experience, surroundings will deliver. We all know that the primary difference between a house and a home ultimately comes down to what you find inside. Aside from its occupants, home furnishings go a long way in imbuing your house with its own unique character. To truly customize your living space, you'll want to furnish your home with unique, high-quality furniture-that's where Surroundings can help. We're dedicated to helping shoppers update their homes with items that truly reflect their own unique style. Your home is an extension of yourself, and you want to curate your home in a way that truly reflects your life. To that end, our friendly staff is always available to help you select pieces that perfectly complement your home aesthetic. Our impressive showroom features a wide selection of home furnishings and accessories. We carry high-quality consignment furniture,as well as new pieces from some of the top furniture designers. We have carefully curated every item to create a creative, eclectic, and inviting atmosphere. You'll feel it from the moment you walk into our store. With mattresses, dining sets, office desks, chandeliers, and other accessories, Surroundings can furnish your entire home. If you're looking for quality consignment furniture in Estero, FL,and other nearby areas,contact the professionals at Surroundings at 239.593.6879. Or just stop in and visit our showroom today.